Author is terrified that if she tells Agent and Editor about her surgery, they will suggest delaying the book a season or even a year. This is Author’s first novel and she’s hungry to see her words in print. 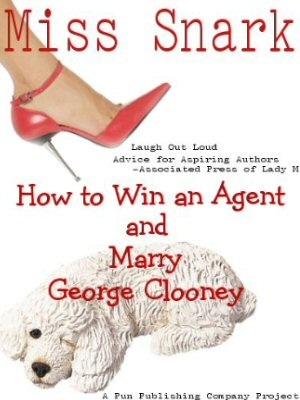 Should she confide in Agent… in other words, is Agent sufficiently on Author’s side that she may keep this information from Editor as they figure out how best to proceed? Or will Agent instantly race to Editor’s side with this potentially-damaging information? Many thanks for your help with this question as well as for a blog so informative I look at it daily. They aren't going to postpone the book or cancel it; those decisions are made way way way in advance. They WILL however be able to only schedule things you can do if you are horizontal for a while. Well, alive and horizontal of course. No one really expects you to do promotion if you have passed on to glory, although a blurb from St. Peter really would be of help if you're not around to go on Oprah. For any question like this, it's always better for your agent to know so she can help you plan. I've had clients do these kinds of things and I always want to shriek "I could have helped you had I only known". Consider this your shriek. And best wishes for a speedy and full recovery. There are many promotional things you can do whilst recovering from surgery should book signings be a bit too much. Opt for online and phone interviews, blogs, chat rooms. You're still 'out there' and that's what counts. Your editor will understand. If not, that's another whole blog's worth of topic. The key, as Miss Snark so wisely shrieks, is letting your agent know before the guys in the masks have you count down from 10. When my first book came out, every interview I did in the first few weeks was online and phone. Make sure they have an author photo of you looking healthy and lovely as well, and that's really all you'll need. It'll take time for publicity to snowball to the point where personal appearances will be necessary. In the meantime, it sounds like it's nothing that can't be worked round. Remember - your agent works for [b]you[/b], not for the editor or the publishing house. She'll look after you, if she's any good at all. Dear Jana: You mentioned phone interviews. Some people in my circle (European expatriates) have been wondering how to take advantage of cheap phone rates and technologies such as Skype to market their work. Got any suggestions, links, sources? In general, how do we plug our book with a phone or a headset? Underneath all that snarkiness, Miss Snark is a big ol' gin flavored marshmallow! "I could have helped you had I only known." Kudos, Miss Snark, for the most dignified and grammatically correct shriek of the season. I look forward to Emma Thompson delivering this shriek in your James Ivory-directed biography, "Snarks of New York." @Stephen: Skype definitely works, at least from anecdotal evidence. My boss uses it regularly to talk to our people abroad--and some of them use Skype at the same time--and each of them says there's no difference between it and a regular international phone call. Except of course that Skype is much cheaper. They do recommend buying a headset, though. They say the feedback and quirky ambient computer sounds can get to be too much. I must protest: Miss Snark is not a marshmallow! Otherwise, her keyboard would get all sticky. I find this post echos familiar sentiments. I am referring to the questions from writers who ask how often they should email their agent or how to find out who their agents have submitted their novel to or the myriad of other concerns about the publishing process they have. YOUR AGENT IS YOUR "FRIEND"!!! !THEY ARE NOT YOUR "ENEMY"!!! THEY ARE NOT AGAINST YOU!! !THEY ARE ON YOUR SIDE!!! When I had "THE CONVERSATION" with my agent I asked just these kind of questions. And she answered every one. I am fortunate to have an agent that likes to hear from me as long as I do not expect long flowery emails in response. I ask her - NOT a message board or blog. I know Miss Snark has said she does not want baby announcements, wedding invitations, or birthday cards (buckets of gin are OK), but I am sure she agrees with me that communicating directly to your agent about these important details trumps all...just like good writing. It's actually good to see this answer in print. Okay ~ I just ruined yet ANOTHER keyboard when I saw Miss Snark being called a gin-flavored marshmallow. I am definitely buying one of those roll-up keyboards now! And I am NOT bringing any liquid anything near my computer when I peruse Miss Snark's blog from now on! Why not do some interviews and such through Talkshoe.com? Same idea as SKYPE, only run by a pretty cool dude who happens to live further West of Mars than I do (by a whopping 2/10 of a mile). They've got really good functionality for the book world. Stephen, if you want to use the "real" telephone instead of the computer to make overseas calls that aren't too dear, try www.onesuite.com. You have to prepay, but I can call the UK for a few US cents/minute (more if you're calling a mobile). It works to and from plethora countries. Did you not get the point that the writer was worried the agent would take unwanted action on the news? You can't put a cat back into the bag once it's out. anonymous - I get more than that point. Don't YOU get that the agent is on the side of the author and if any action needs to be taken - it needs to involve the agent??!! The author can say "I don't want the book delayed" but yanno it's the AGENT who knows the business of publishing don't ya think? Skype works pretty well, though I recently had difficulty interviewing another author who lived in Finland. I restorted to my cheap-o calling card and conducted the interview using a land line. Rather than make the interview sound like an infomercial, it's best to chat about a topic related to your book. In my case, that would be interesting tidbits about Victorian England or Jack the Ripper. If you don't have anything quite so esoteric, people always want to hear about what it's like to write a book and how to get published.